Fans across the US will be able to sample the Def Leppard beer at Rock & Brews Restaurants across the country, the all-American restaurant chain founded by KISS stars Gene Simmons and Paul Stanley and a few of their friends. British rockers Def Leppard have a new beer made in their honor. 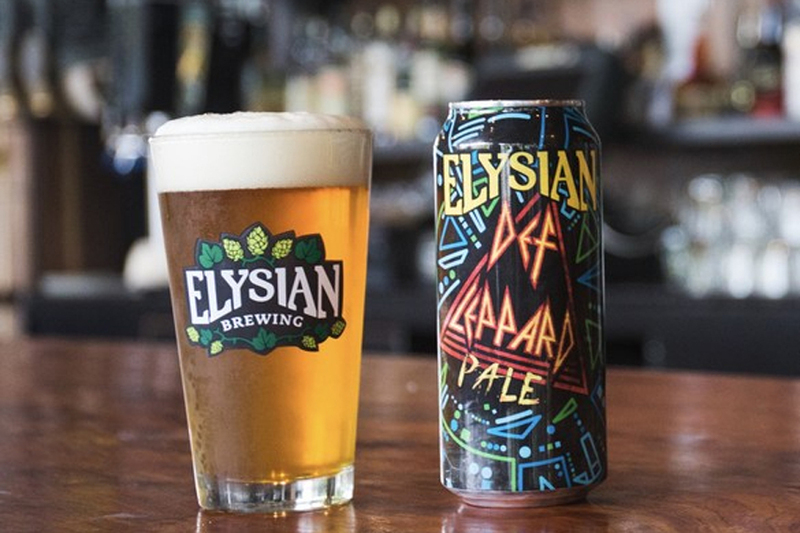 Seattle-based Elysian Brewing Company has released a new Def Leppard Pale Ale that combines the band's British roots with their popularity in the US. The brew is made with malt bodies of British ales with hops from the Pacific Northwest in the US. The beer's launch is being timed to coincide with the group's 2018 North American Tour, which kicked off this week. [post_ads]Fans across the US will be able to sample the Def Leppard beer at Rock & Brews Restaurants across the country, the all-American restaurant chain founded by KISS stars Gene Simmons and Paul Stanley and a few of their friends. The first Rock & Brews location opened near Los Angeles International Airport in 2012. Today, there are around 20 restaurants across the US. Along with casual American fare like burgers, pizzas and sandwiches, the restaurant makes a point to stock local craft beers. It's hardly the first time booze has been associated with a rocker band. Earlier this year, it was revealed that Metallica is hatching plans to open their own whisky distillery in the US. Other rockers to put their name on a beer can or beer bottle label include AC/DC who teamed up with a German beermaker to create Australian Hardrock; KISS who partnered with a brewery in Sweden to launch the brew Destroyer; and Iron Maiden singer Bruce Dickinson, who teamed up with British family brewer Robinson's to create a golden ale called Trooper.